You must make reservations at least 5 minutes in advance of the time at Columbus Tap. Valet parking $10.00 for restaurant and bar guests. CTA Bus & Train, Randolph / Michigan, Wacker / Columbus. 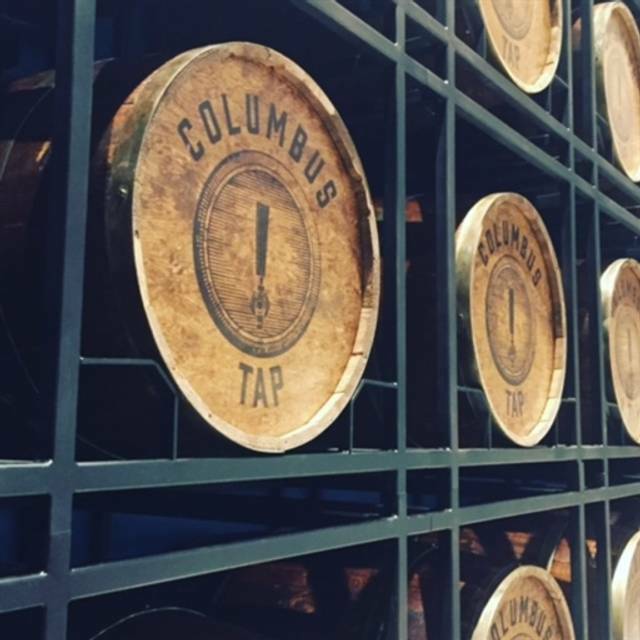 Want to host your next event at Columbus Tap? We love a party! Contact our events team at rfp-chi@fairmont.com or give us a call at 312-565-7400. 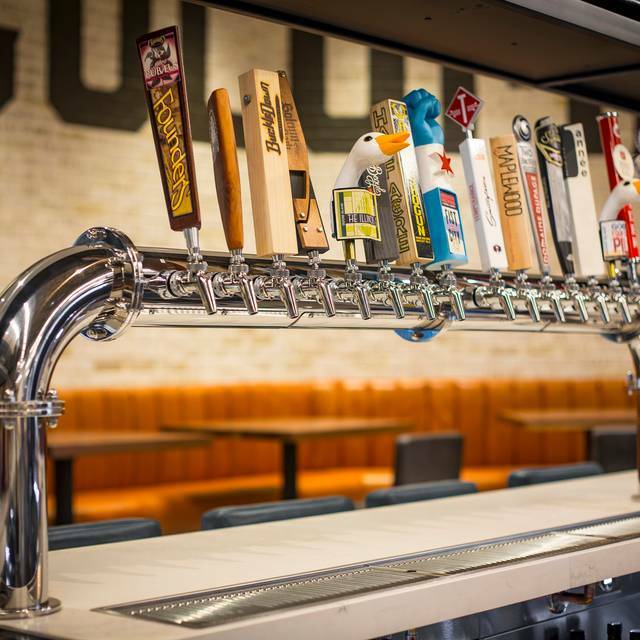 Columbus Tap features a less than typical beer tasting experience of Midwestern influenced gastro-fare that pairs perfectly with local craft beers . 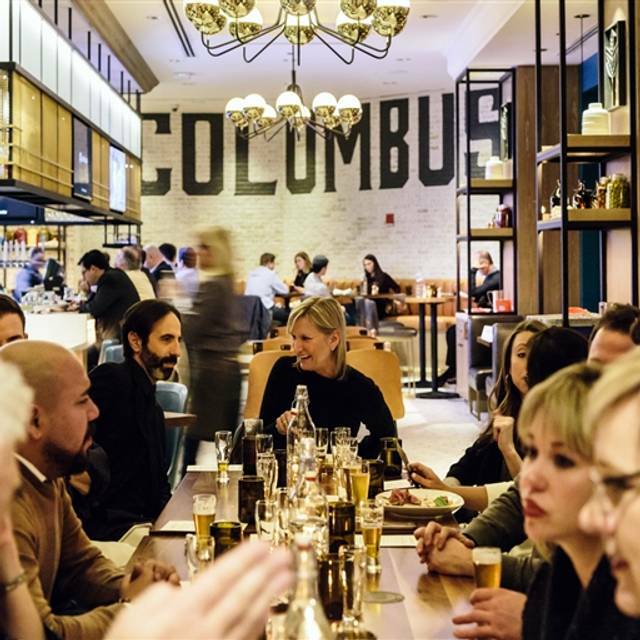 From weekend brunch to happy hour, there's always a good time to be had at Columbus Tap. Get happy with our daily specials. Raise a glass of our signature Margarita to Cinco de Mayo! Celebrate Mom with our limited-edition spring menus featuring botanical elements and edible flowers. Gray service! We got seated right away even before our reservations. Food was amazing! A lot of vegetarian and paleo options! Excellent stop for lunch! The food and service was great! The only positive thing I can say about the restaurant is that our waitress was quite lovely. The food was not good and over priced. Great service with tasty food options. Our waiter was knowledgeable about the menu and familiar with Keto. It was great to get recommendations. Too many mixups. Service was very slow and there were hardly any people in there. The server came to our table 20 minutes later and was extremely rude, got our drink orders wrong. Our waitstaff person , Elizabeth was informative , attentive and very courteous. She recommended the ribs and they were very good ! Good gastropub option in the heart of bad convention-hotel-food land. Mussels are delicious, and granddaughter thinks your fries are the best. Prompt, friendly service as well. 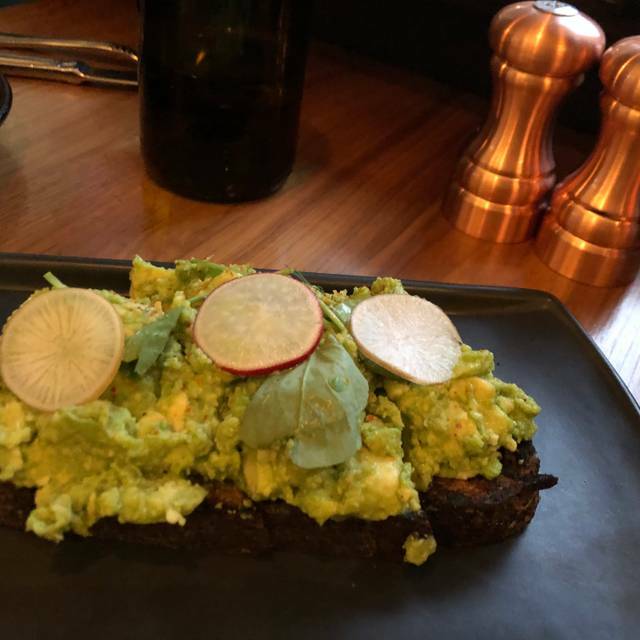 Overall not an unpleasant experience but it was way too overpriced for the meal I had and amenities of the space. Except for the Hostess and Bus Boy, this was an awful experience. The Server was not a nice person and service was spotty at best. Food was overcooked and dried out. Definitely overpriced. My co-worker went last week (he hadn't known I'd gone), and had the same experience. Nice place for lunch and to watch a game just a few blocks from Millennium Park. Nice kid's menu. Thanksgiving dinner was very nice. 3 course set menu was great traditional one. Outstanding cauliflower soup and pretzels with bier cheese sauce. Very nice server, although shorthanded. Never had a chance. We showed up and they said they couldn’t honor our reservation. They said it would be at least an hour wait for a table past our reservation time. Unfortunately one of the worst lunch experiences ever in Chicago. The fairmont is a nice hotel so I thought this would be a great option. We had a reservation, but never saw a waitress for 20 minutes. Took 35 minutes to place a food order. Waitress never refilled drinks. As we drank water waiting, I did ask if there was a problem. Nobody seemed concerned... one hour and 15 minutes our food came, we would have walked out, but did not have time to walk somewhere else. This entire time, not a single employee checked on us, refilled coffee, or even smiled??? We were not the only miserable ones there. The food was disgusting and two burgers were inedible! Fries were old and stale, and two burgers were completely raw. I did not saw rare, they were totally pastey cold raw meet which looked squirted out of a tube. I was thrilled I did not take a bite because I probably would have puked. The other burgers and a couple salads were average, absolutely not worth the wait with higher price ranges! Two hours, drank water, horrible service, and ended up eating over cooked potato chips on the plate next to my raw slimy burger. Can't recommend this place. It was too loud. Our appetizers arrived timely and hot. Our entrees seemed to take quite awhile and were barely warm. If I had known this restaurant was anchored to a hotel I would have booked elsewhere. I'm just not a fan of hotel based eateries. White tile everywhere, the place kinda looked like a bathroom. It was LOUD! There was a convention at the hotel and that may have been why the deafening noise from the bar which carried over into the restaurant made it so that we had to almost shout to hear each other. My guest arrived before I did and was seated, which was nice. When I arrived and told the hostess I had a reservation, she simply replied, “she’s over there” and pointed to the right. My sister had the burger which she said was very good. I had the bacon and egg salad. The menu said it had a ‘perfectly cooked egg’ but mine was over cooked and more like a soft boiled egg. Overall not a bad experience but I wouldn’t seek it out. It’s better than a typical hotel restaurant - the food is more gastro pub than lobby restaurant and more reasonably priced than typical hotel restaurants. I have been there several times for lunch and always good. Today, they were overwhelmed due to demand. Everything was good but not quite complete as it seems some things were rushed. It took 35 minute to get food post ordering. Good food, but on the heavy side. Not much in the way of lighter options. We needed an easy, early meal. This pub provided just that. Excellent service and delicious, simple food. Roasted cauliflower soup was a real treat. Second time at this restaurant. Food has been good both times. Had the burger - real juicy and the chips are fantastic. Problem has been the service both times. Slow. Slower. And then slower again. Never a good thing when you have to chase down the server to get your check, especially on a business lunch. Maybe they are carrying less staff because of the wages forced on them by the City of Chicago. Not sure. Other good choices in the area. Will be choosing another restaurant going forward. 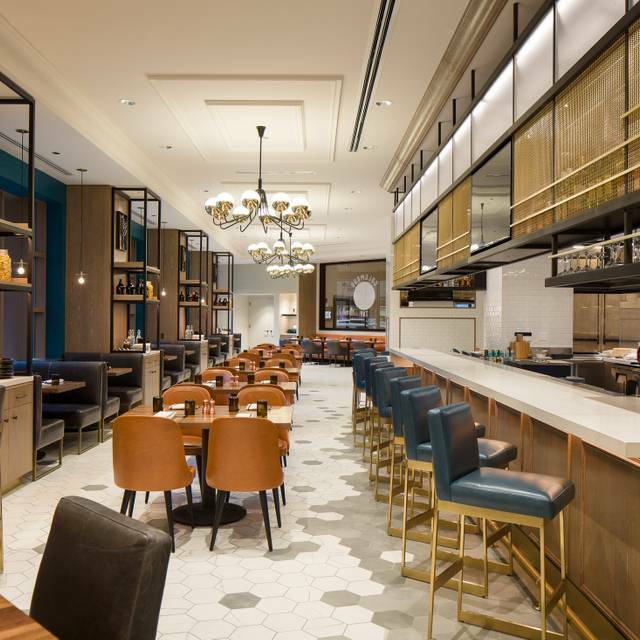 Great food in the Fairmont hotel - vibe is really nice and relaxing - updated and clean. Food is unique and delicious and very fresh. 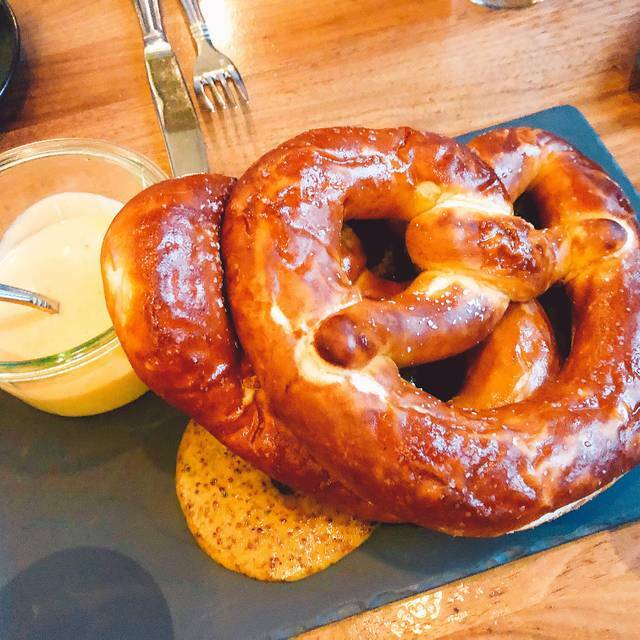 Big portions - able to split with others so you can try some of their yummy apps like the pretzel. Salmon salad is amazing! We had an excellent waitress. She took all of our orders(8) without writing anything down. Service was prompt and the food was delicious. Chicken salad was slightly salty for me. Cauliflower souo was excellent. I would like to see a few new things on the menu. Generally people find it hard to pick something. Menu is very eclectic. Food is generally good. Had the tap burger - great sauce, nice thick burger. Keep a knife and fork handy because the bun falls apart - not such a bad thing because it is one juicy burger. Business guest had the ribeye sandwich. He enjoyed it. Chips had an ok flavor but not necessarily something that I would order again. A bit over cooked. Let the waiter know we were on a tight schedule, he got our food quickly. Nice job and very friendly. Will do it again for business. Would not do it on my own dime, not a great value. Good local craft beer options on tap. Good variety of meals. And we had an attentive waiter. Will return soon. Beer is very good. Food was decent (mostly the appetizers). Fish and chips were awful, unfortunately. The bar is very pricey and I was blown away by my bill. It did not help that they had tried to add an extra $80 bottle of wine to our receipt that we never ordered. It also did not help that the server said that she "noticed it right away" (but if she did, why did she not alert me or get it taken off)? That made it seem like it was not an innocent mistake. Given that our party was large enough that the tip was automatic, I only was able to express my displeasure by getting the item taken off my receipt - nothing else was offered. This kind of stuff really leaves a bad taste in my mouth. I feel like they tried to take advantage our our party. So check your receipt before you go. Food is excellent, service is impeccable, the noise however - it's VERY hard to hear each other at a 6 top. the loudness prohibited us for hearing each other. smaller groups might be ideal here- sitting very close to one another. Excellent place to go for several occasions. We had a group of 8 people for a get together with our new team and it was perfect for conversation, drink, and appetizers. The waiter was phenomenal and attentive and we never felt rushed. Truly a perfect location! We both ordered the steak salad special. Steak was done to perfection and the salad contents were unique and delicious. Service was spot on - this is now my preferred lunch spot in this area of the loop.